As sad as it may be, winter is right around the corner. 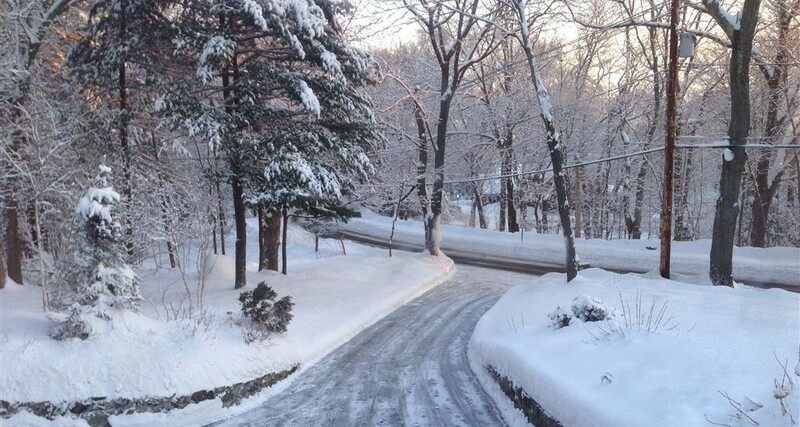 Last year in Boston we had historic snowfall, and for most if not all homeowners, it was a tough winter. Even if you love skiing, snow boarding, sledding, or anything else about winter, it's pretty safe to say that no one likes shoveling the snow, or dealing with issues with their house that may be caused by the snow and cold weather. Below are 5 Tips to help you avoid that. If your attic is not properly insulated, it's likely your home will get ice dams. The best thing to do is to have your attic properly insulated. You can contact a contractor direct, or go through MassSave to save a couple thousand dollars. Only problem is this late in the season, it will be difficult getting this done before Spring. My vote, Hire a Pro! If you don't have an irrigation system, then make sure you put your hose away, and move on to #3. If you have an irrigation system, it's best to call your local irrigation company, or whomever you used to install the system, and ask them to come winterize your system. They'll come to your house and blow out all the water from your pipes, shut the outside water off, and all this for about $200. My vote, Hire a Pro! You have a few options. You can call a local gutter installer, gutter cleaner, or contractor and ask them to do this. Some will blow the leaves out and some may vacuum them out. My advice. If you can access your roof with a ladder, and you have a backpack blower, climb up on the roof and blow the leaves out of the gutters on a sunny day. You'll have to do this 2-3 times each fall, and the key is to do it before it rains, as once the leaves get wet, they are much more difficult to get out of the gutters. My vote, Do It Yourself! This one depends if you do your own leaves, or hire a professional landscaper to do them. Whether you have a big or small yard, raking the leaves is always a difficult task. My advice. Your time is valuable. If you can get a landscaper to do it for you at a reasonable price, pay them to do it, and enjoy more time with your family. Another option would be to get your family involved, although that usually turns in to more fun playing in the leaves then actually raking and bagging the leaves! My vote, Hire a Pro, but if your yard is small enough, have some fun doing it with the kids. Pretty straight forward task that if you don't address before the winter, you may have frozen pipes. Simply go into your basement and make sure to turn off any exterior water spouts. My vote, Do It Yourself! Last updated April 25 at 11:42 am.